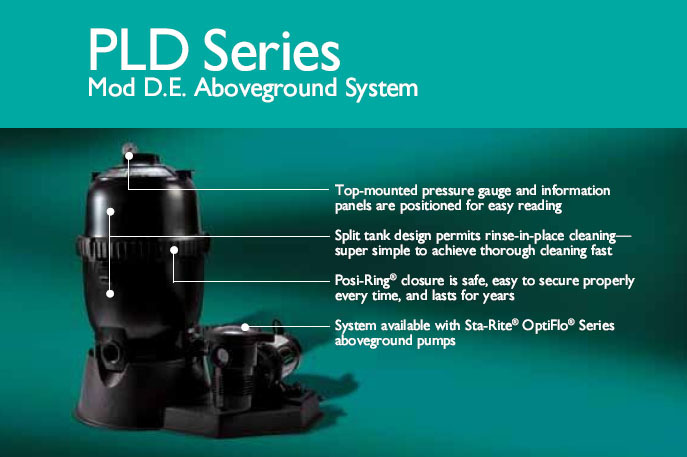 PLD-Series aboveground modular D.E. 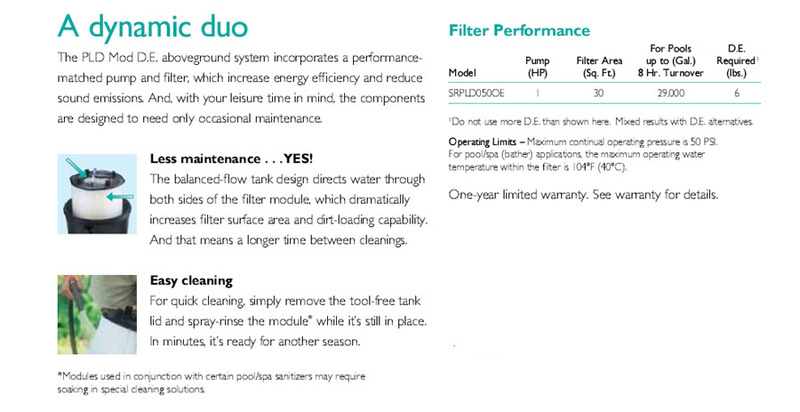 filter system combines outstanding water purity and carefree operation in a system package. Evolution of the proven modular media technology delivers D.E. 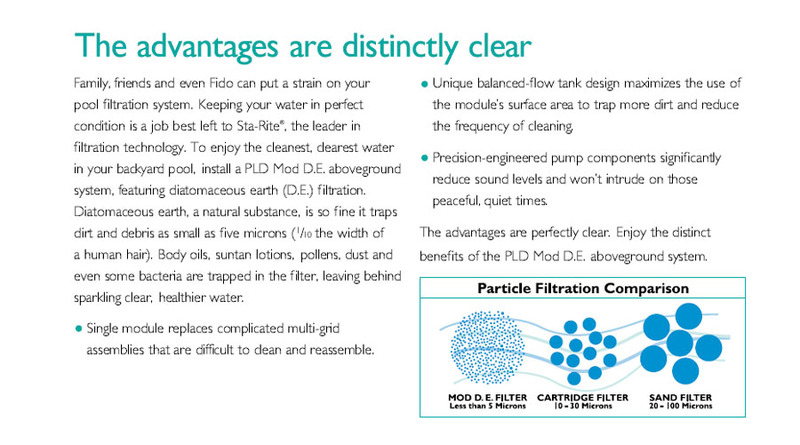 filtration in a simple, one-piece module design. Available with rugged, large-capacity OptiFlo series pump. Easy-open Convenience posi-locking ring provides easy access for seasonal cleaning. Simply unscrew the ring and lift. The modular-design filters incorporate a balanced-flow tank design that directs water through both sides of the modules, using every-inch of its pleated surface. System includes the modular D.E. 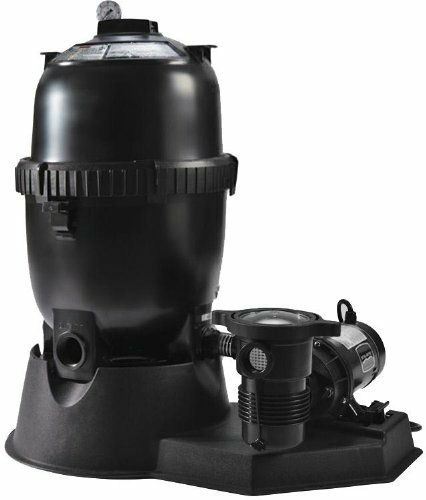 filter and a performance-matched pump that's ready for easy assembly on a tool-free platform for aboveground pool. 30-square feet effective filtration area, available with 1-horsepower pump. It includes 3-foot twist lock cord, 6-foot hose kit and has flow rate of 60-GPM. It is UL certified and measures 28-inch height by 15-inch diameter. Width 0 inch, Weight 65 pounds.